Modiform have recently completed a beautiful shade sail over a pool in Chapel Hill that protect the family from the sun’s harsh rays, and keeps the pool clean. Making The Backyard Usable Again! 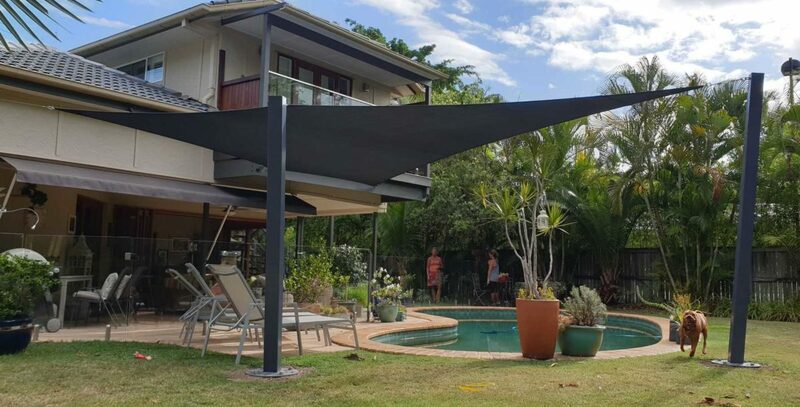 This beautiful family sought a pool shade sails solution that covered approximately 1/3rd of the pool to protect their outdoor seating area and a good portion of the pool. To assure a taut shade sail, a longer cable was fixed to only one corner and connected to a mounting point to avoid the wind moving up and down excessively during wind which increases the wear on the shade sail and turn reduces the life of the shade sail. All other corners were attached to a secure mounting point a D shackle for added strength and tension. 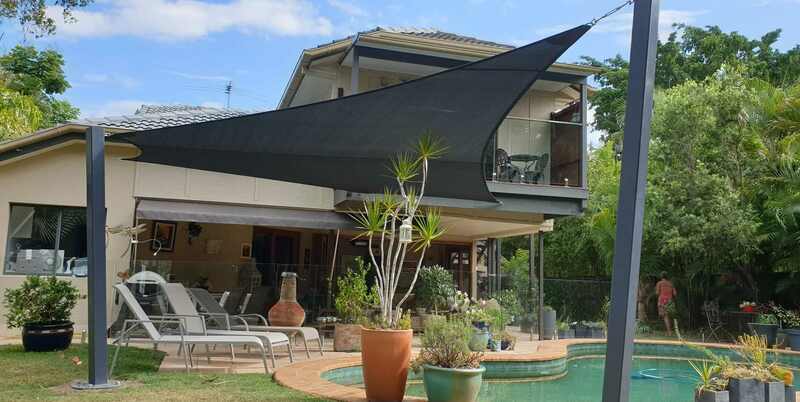 This Home’s new shade sail transforms the simple outdoor setting into a dynamic, eye-catching area. The simple yet stylish appearance compliments the architectural family home. For Strength, this shade sail was made with extra layers in the corners for reinforced strength with rot-free PTFE stitching and guaranteed not to fray.